It’s summertime in Newport and that means one thing for fans of the “sport of king”; Polo season! Wondering what’s on tap this season? Here’s a roundup on the equestrian excitement to expect in the months ahead during the Newport International Polo Series XXV. 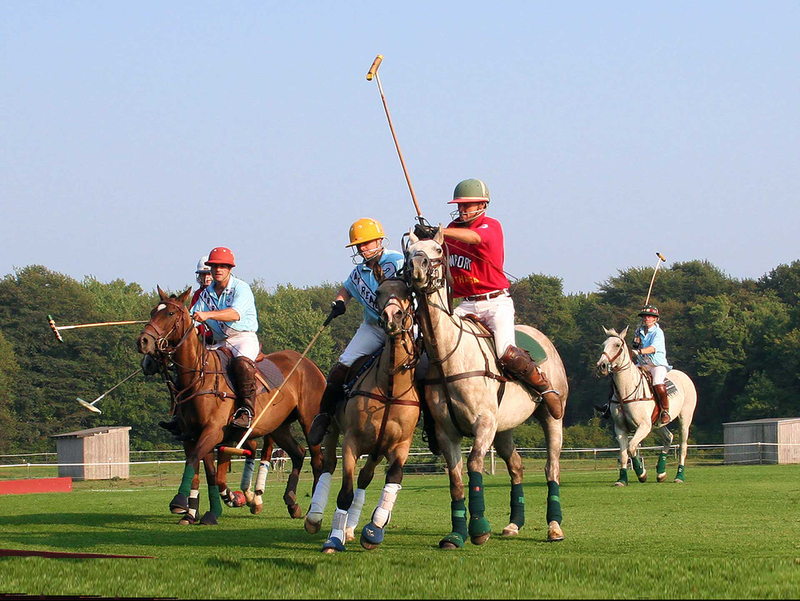 While the origins of polo date all the way back to Persia sometime between the 6th century BC and the 1st century AD, the sport has undergone an exhilarating evolution to become the horseback-riding, mallet-thwacking game we know and love today. 2016’s Newport International Polo Series’ 25th anniversary celebration will pay homage to more than 130 years of polo as one of Newport’s most iconic traditions -- a thrilling vestige of the Gilded Age which draws thousands of spectators every year. Kicking things off this year? Team USA is set to take on Team Mexico at Newport Polo tomorrow at 5pm. This USA v. Mexico face-off is particularly significant for two reasons: Not only is Team Mexico the defending champ, but polo might not even exist in Mexico today had a visiting baronial Mexican family not brought the sport back home to its compatriots after witnessing a match in Newport in the 1880s. Nearly a century and a half later, Mexico is home to a preeminent polo legacy. Opening Day festivities will also include a door prize and Best Tailgate award; a Veuve Clicquot champagne toast and trophy presentation; autograph signing and cocktail hour with the players; and an après polo Buffet Grande featuring a south-of-the-border cultural dining experience. And really: Where else can you mingle with some of the world’s most renown polo stars while noshing on an authentic Mexican meal? From now through September, the bucolic International Polo Grounds at historic Glen Farm will play host to eight international teams, including Australia, Ireland, Italy, France, Jamaica, England, and debuting Morocco, as well as five teams from major US cities and some fan favorite regional rivals. Some eagerly anticipated highlights of the upcoming season? Newport vs. Boston on June 25th; Newport vs. Pittsburgh on July 16th; the International Polo Charity Ball on August 5th; Newport vs. New York on August 13th; Newport vs. Philadelphia on August 27th; and the New England Challenge on September 10th. It all culminates with what’s sure to be an action-packed final on September 24th. Want to enjoy a victory of your own this season? Make The Chanler your haute home base with our luxurious Newport Summer Experience Package including a two-night, midweek stay; gourmet breakfast for two every morning; and dinner for two at the award-winning Spiced Pear. Find yourself momentarily pony-less? See Newport via your choice of The Chanler chauffeur service and/or use of our complementary fleet of bicycles.